The parents of a 2 year old boy, 27-year-old Brent Daley and his wife, 25-year-old Brianna Daley, were arrested on a charge of child neglect after leaving their two-year-old son home alone to play Pokemon Go, according to police in Arizona. 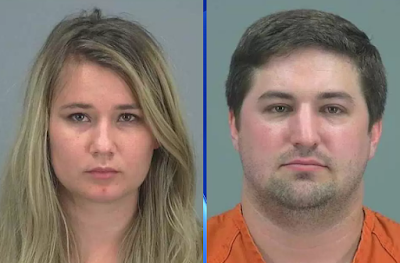 The Pinal County Sheriff's Office said that the couple was arrested, after leaving their sweaty and dirty 2 year old son home alone for an hour and half to go play the new internet sensation game, Pokémon Go. Neighbours called the police after they saw the 2 year old boy standing outside a home, screaming and crying at the top of his lungs, wearing just a shirt and diapers. According to the police, officers received calls around 10:30 p.m. on Sunday, to report that a boy was screaming and crying outside a home. When the Police officers arrived at the scene, they found the 2-year-old boy outside, with the house unlocked, but no one was in the home. They said that he was barefoot, sweaty and dirty and the temperature was 96 degrees at the time. When the couple returned home after 90 minutes, they admitted to leaving their child inside the home while playing Pokemon GO in nearby neighborhoods. When the couple returned to their home, deputies say they admitted to leaving their son asleep inside their home near Chandler Heights and Gantzel while they played Pokemon GO in nearby neighborhoods. "Our agency and many other law enforcement agencies have been warning people about personal safety while playing this interactive Smartphone game, but we never would have imagined that parents would abandon a child to play Pokémon Go," "The deputies found the child locked out of his home in 96-degree weather with no water while his parents were gone interacting with their smartphone game." The parents were both charged with child neglect and endangerment and are currently in jail. The child has been placed in the custody of Child Protective Custody (CPS).